Niche audio solution and speaker manufacturer OWI will launch its new AMP-CAT amplifier at InfoComm 2018. The AMP-CAT is a simple, single-source amplifier that can connect either via Cat-5 with other OWI equipment or via a 3.5mm stereo mini jack for line-level connection for all other equipment. In addition, its line-level connection can integrate with other devices such as an assisted listening device or other systems. 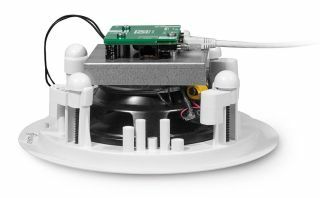 The goal behind designing the AMP-CAT was to create a less expensive, single-source, interchangeable amplifier that can amplify the majority of the OWI speaker line, which includes surface-mount, in-ceiling, pendant, and outdoor speakers. The interchangeability of amplifiers for the speakers allows the amplification to the match a room’s size, shape, and decor. In addition OWI will show a new amplified speaker that meets NFPA72 life safety regulations codes and complies with the ADA assisted listening codes in schools and meeting rooms. The AMP-HD2SIC6 series amplifier helps integrators and facilities quickly provide sound reinforcement and meet these codes and standards. The latest generation of amplifiers connects with OWI line-level volume controls and four-channel mini mixers via Cat-5. This family of products is connected with category cable and can run both power and signal between the products. Finally, OWI will show its NepTune omnidirectional, wide-dispersion surface-mount speaker that mounts to walls, ceilings, and beams. According to the company, it can cover the same area as four traditional speakers and can be passive or amplified, and be powered via a Cat-5 cable.